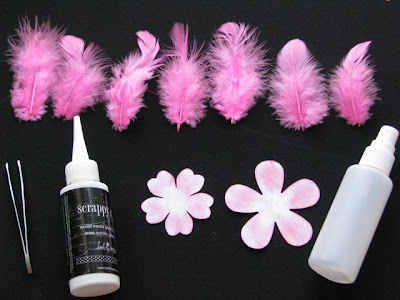 To get started you'll need 7-8 short craft feathers, one medium and one large punched paper flower (any die cut with separated petals will do), tweezers, water for misting (or color mist instead of inking the edges) and glue. 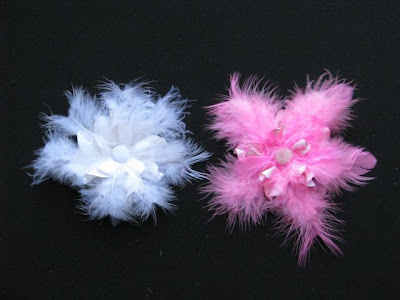 My flowers are 2 and 3 inches for these. You'll also need a brad or decorative center of choice. Step 1: As with most of my flowers, ink the edges and then slightly water mist. 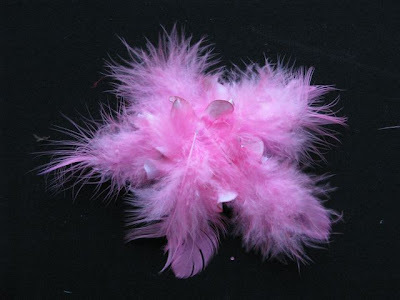 Using your tweezers, twist and push the petals towards the middle then give it a slight pinch into place. Let completely dry. 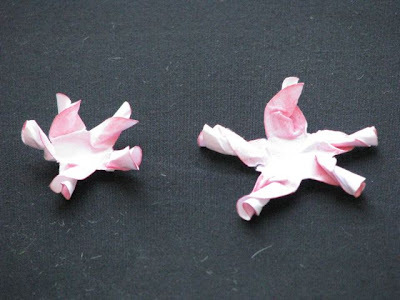 Step 2: Slightly unravel the petals of your flowers and glue feathers in the petal separations of the larger flower. Let dry. 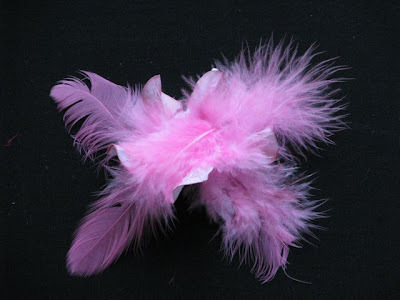 Step 3: Glue the medium flower onto the large feathered flower and then also glue a few feathers to fill in blank spots. Let dry. Finally, add your brad or decorative center and you're done!